Happy Labor Day everyone. Hope you’re getting some R&R like this week’s Monday Cover, Xavier Pinard. Check out this styling no-comply pole jam at the newly opened Beaverton concrete annex. See the full-frame version after the turn. Vintage street moves rule; hail Natas, The Gonz and Tommy. That’s rad. 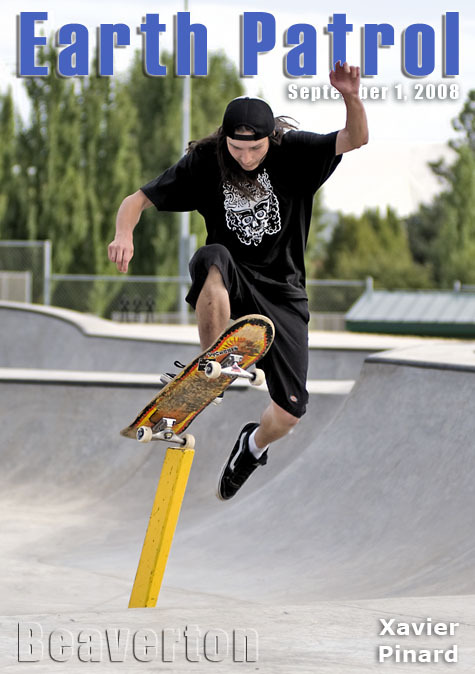 That thing is steeper than it seems; not your typical skatepark pole jam. Miller is right, that pole is a steep one. 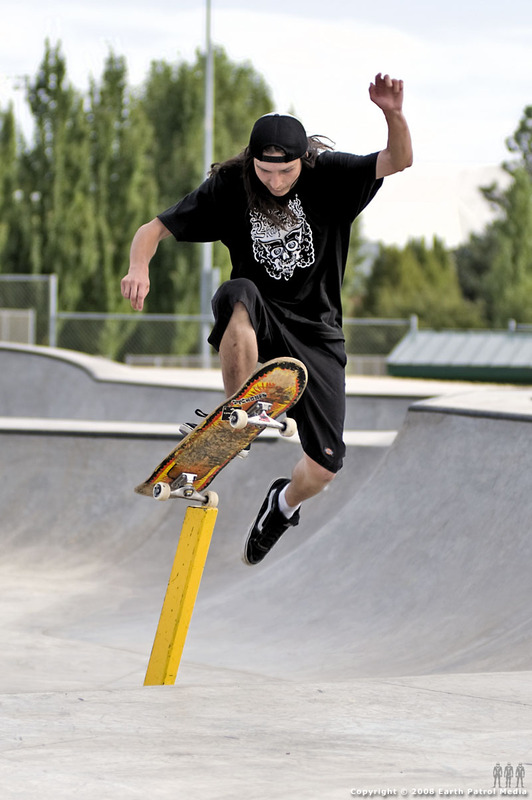 It’s also funny that now there is a “typical skatepark pole jam” considering that feature comes from a pole “in the wild” that has been bent over by a truck backing into it, or some other event. now we’re building them on purpose. Of course, you could extend Kilwag’s observation to every feature in a skatepark.